After a tough session in the gym, Chrysler’s gangster limousine is back and fighting fit to take on all those full-size sedan contenders. 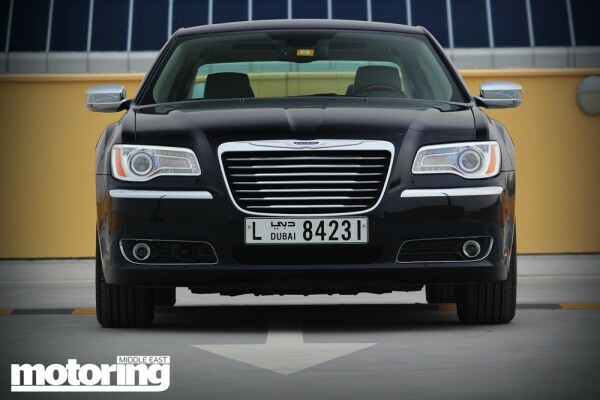 Which there aren’t, because the 300C is still in a class of its own. When the 300C first came onto the market in 2004 , it was a real breath of fresh air and an audacious style statement to boot. The big American car is a mainstay of the Middle East motoring scene – just ask anyone over 30 if they can sketch out a Chevy Caprice or Ford Crown Vic and they’ll probably be able to do it with their eyes closed. But Chrysler’s forgettable ‘90s big saloons meant it was left out of the race until the gangster-spec 300C turned up on the scene, achieved instant fame in hip hop videos and sales success shortly thereafter. 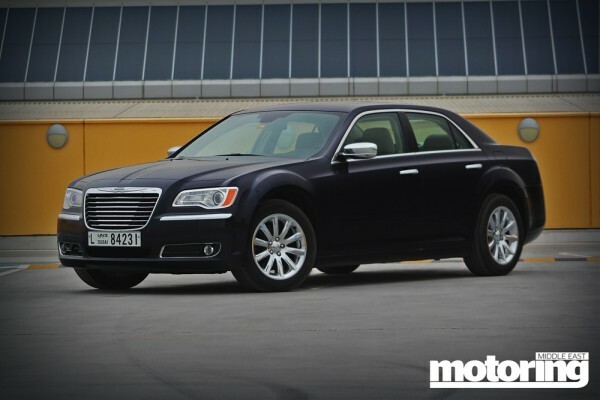 With that successful approach under its belt, why did Chrysler change direction with this latest car? Gone is that mock-Parthenon Bentley grille, replaced by a much more svelte version of the famous egg crate, with the same story for those headlamps. In fact, the whole car looks one size smaller. Ah, but it’s not. It’s actually a clever series of design flourishes, in which the size of the glasshouse has been increased slightly while the beltline reduced, with the net effect of shrinking the car visually. Like a magic trick, the car is still the same dimensions, but no one who remembers the swaggeringly huge old car will believe you. Was it a good idea? Yes and no. I will miss the Mafia-company car looks, but in our current troubled times, perhaps it pays to be slightly austere. Besides, the 300C now looks genuinely upmarket and expensive, something the old car struggled with the moment you opened the doors and got an eyeful of the worst of old Detroit: cheap plastics, huge gaps and boxy, unattractive styling. Under the careful stewardship of those Italian arbiters of style at Fiat, this accusation no longer holds. 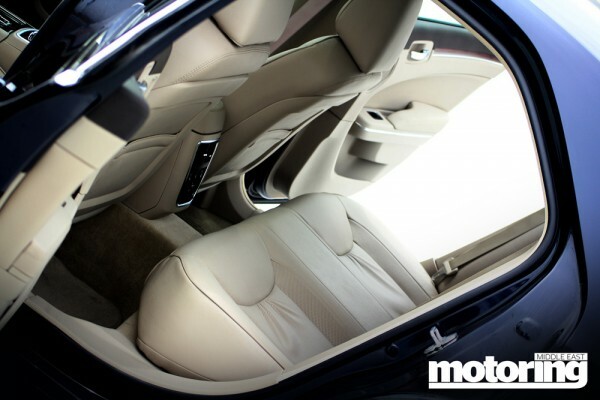 The interior of the new 300C is truly the best thing about this car; it’s an unqualified, hit-for-six success. 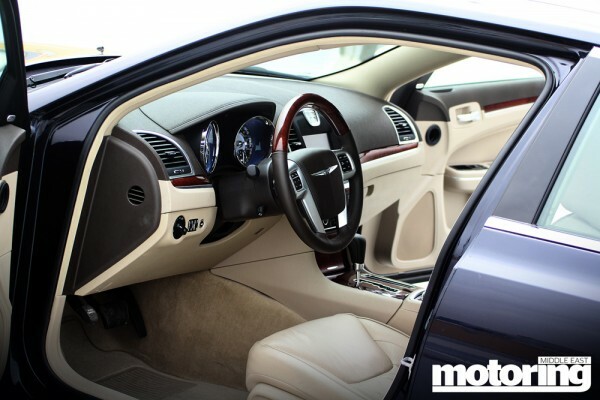 First thing you’ll notice when you plop yourself into the leather seats are the following. Gorgeous aren’t they? 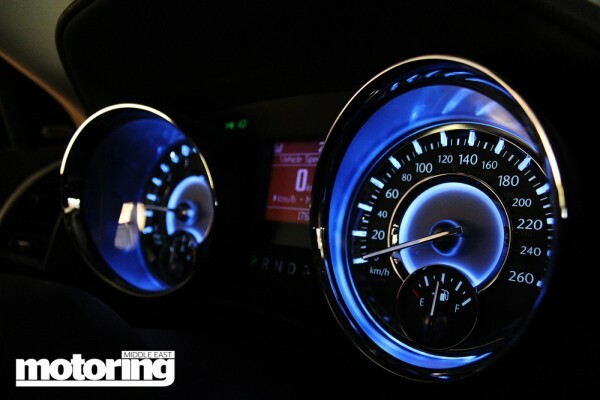 Adopting the reductionist look of high-end watches, these instrument clusters are possibly the most elegant ones I’ve ever seen in a production vehicle – and I’m including Bentley and Rolls in that statement. I particularly love the blue highlighting which can be turned up to nightclub levels if you desire, as well as the beautifully simple font used for the instruments. I’m not so much a fan of the central digital display with its ’80s-like square-edged speed indicator, but you’ll never look at it anyway. Quality of the materials is high throughout and it’s only somewhere around your knees that you will find any evidence of hard plastics. 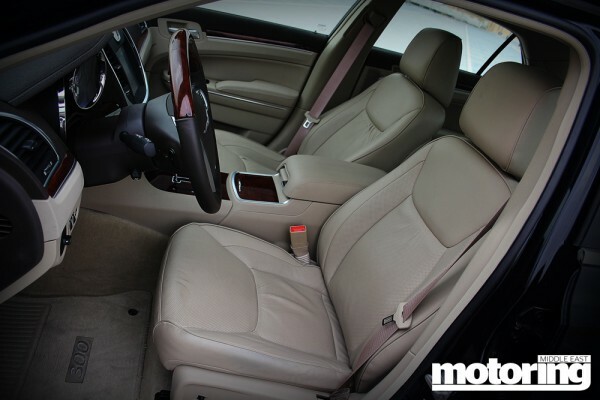 The seats are a tad hard in that classic American way – I miss velour! – but you’ll be grateful on longer journeys when their inherent supportiveness comes to the fore. Space in the back is absolutely epic, this is an S-Class in all but the name. 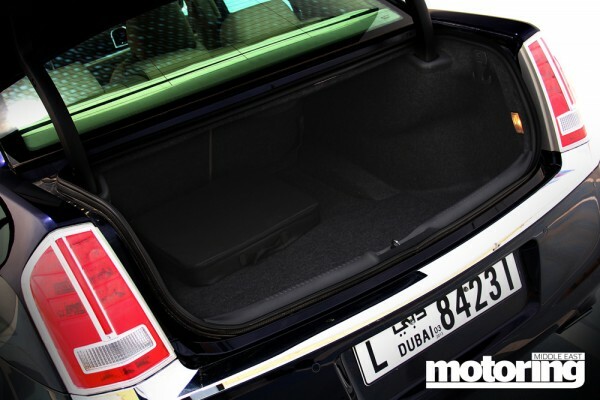 Then there’s the boot, which can accommodate up to five bodies, or proper luggage, if you insist. 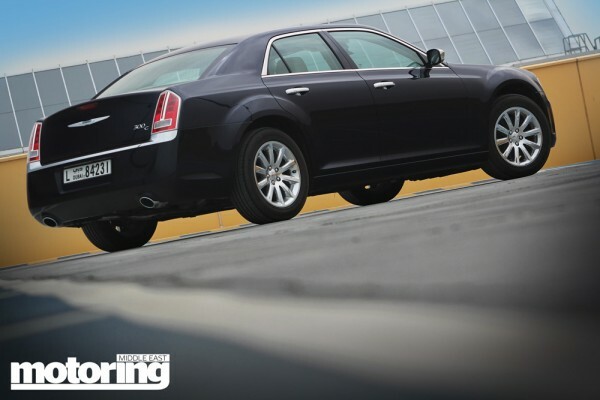 On the road, the Chrysler 300c is well…definitely not light and nimble through the turns. What it feels like is a throwback to the kind of American car they don’t make any more: solid, substantial and planted on the road. There is no ‘turn-in’ as such – you point this car very deliberately with slightly numb steering because there’s rather a lot of it. Plenty of power on tap from the 360bhp HEMI 5.7-litre V8 for overtaking and running swiftly on the highway but in this state of tune there’s definitely no sizzle – this is a car meant for cruising. The V8 growls gently when you lay into the throttle but there’s none of the rowdiness you get from big-brother SRT8 cars. OK, turn the traction control off and the back end will come around, but c’mon, really? Leave those antics to the Charger crowd. With 18-inch tyres (20-inchers are available if you so desire) the ride is magic-carpet smooth. This is a hugely relaxing car, the automative equivalent of popping a pair of Vicodin on the way home. Only Mercedes does it better – which is kinda ironic considering this rides on an old E-Class platform – but Merc charges you a lot more. A whole lot more. There are cars which are difficult to sum up. There are cars which are hard to remember after you’ve driven them. The 300C isn’t one of them. It’s big on the outside, big on the inside, seats five people and their luggage and cruises the highway like a G6. Sure, it’s not as effortlessly imposing as the old car, but the tradeoff is that the 300C now feels like a quality product, if not the quantum leap forward that the Grand Cherokee made between generations. And out of the box, it’ll take 20-inch wheels. What’s not to love? Agreed. I drove this very car on the launch of the 200, as the backup unit and it was sublime – I hardly noticed the journey at all. in terms of bang for your buck, it’s a hard act to follow. Think Crown Vic, with handling!